There is nothing is more beautiful than the look and dimension of layered stamping. 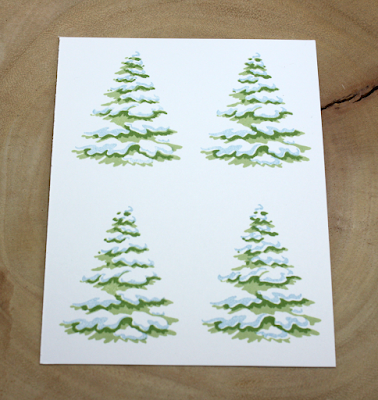 The Birch Press Design Let It Snow layered snowy tree looks so real it is hard to believe that there isn't actually snow on it. 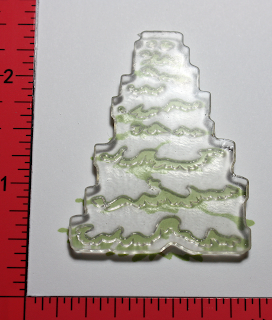 As beautiful as layered stamps are sometimes they are not the easiest to stamp. Today's tutorial is to help you to achieve the perfect layered result easily time after time. 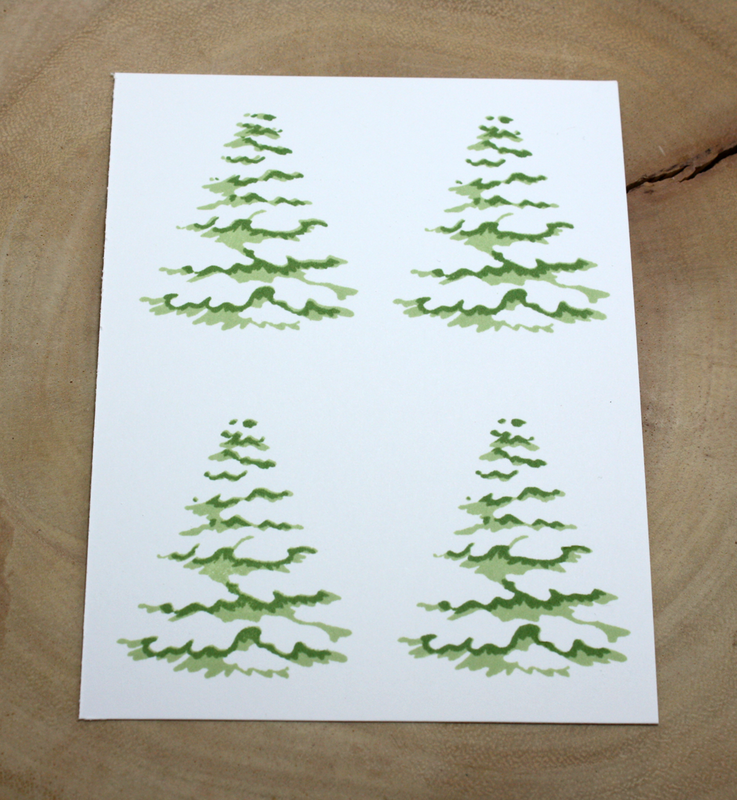 Once you master the technique you are set to mass produce the trees for holiday tags or to put on to your holiday cards. The tree is three separate stamps, for today's tutorial we are using two shades of green and a soft blue. We begin by stamping the first layer in the lightest shade of green. 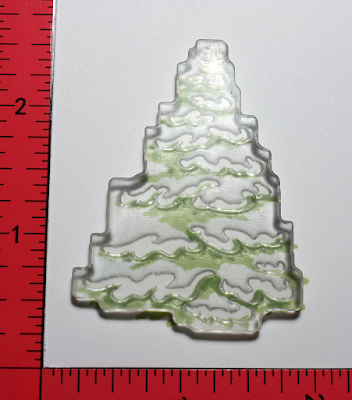 Using the darkest shade of green we are going to add depth and dimension to the greenery on the tree. The following photo shows you where you will want to place the stamp for the second layer on the tree. 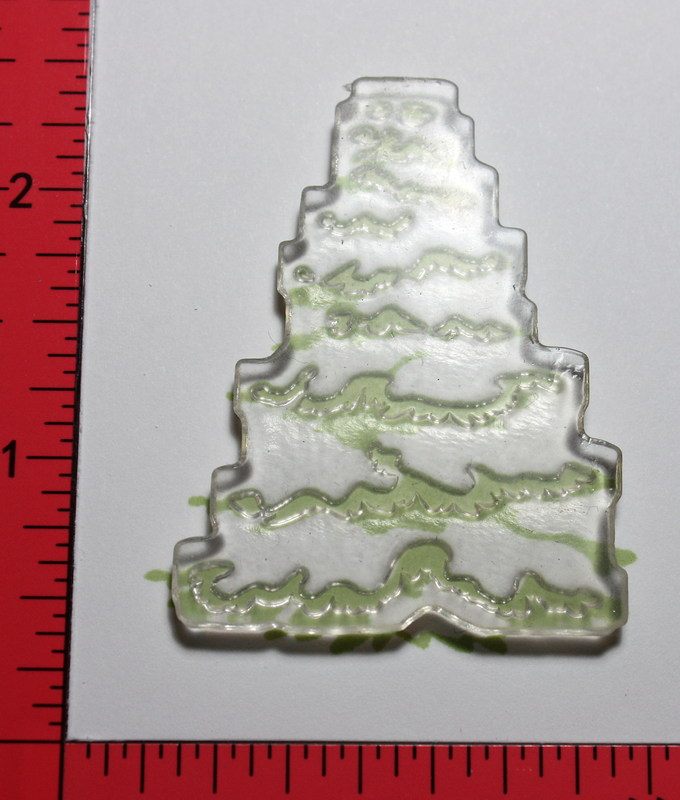 You will notice there is an obvious notch at the bottom of the tree that the stamp fits right over. See all the gorgeous dimension? Now this is where the magic happens. For the third layer we are using the soft blue or a soft grey would be lovely too. There is a little swoosh that sits of top of that notch we were using when we stamped the second layer, that is where you line up the final stamp. See how the layers have all come together? Once you have all your trees stamped, use the matching die to cut them all out. 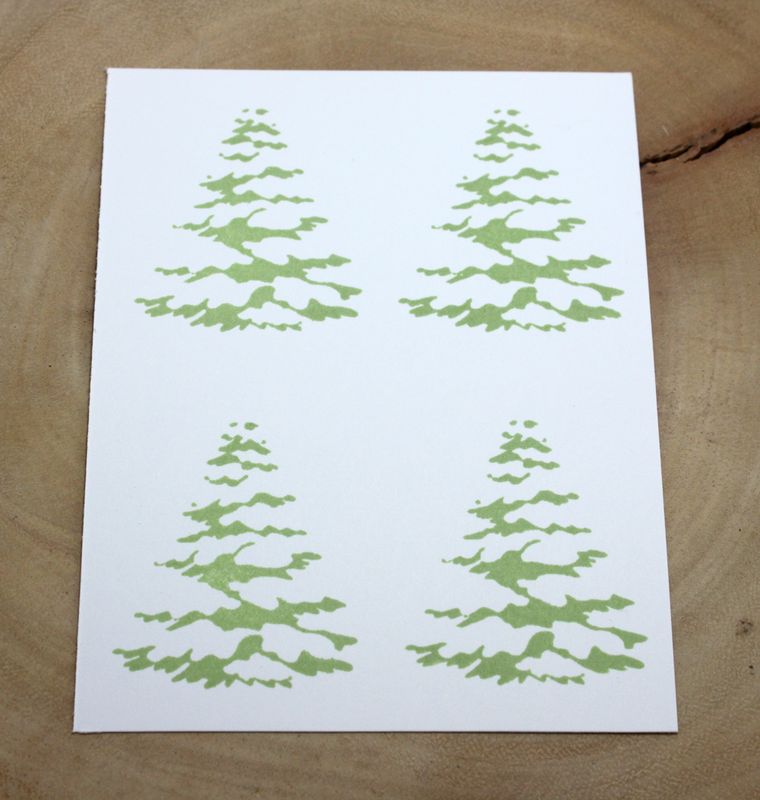 Doing the trees four at a time you can stamp them all out in virtually no time at all. Add a small hole it the top of the tree and add some twine and you are done. 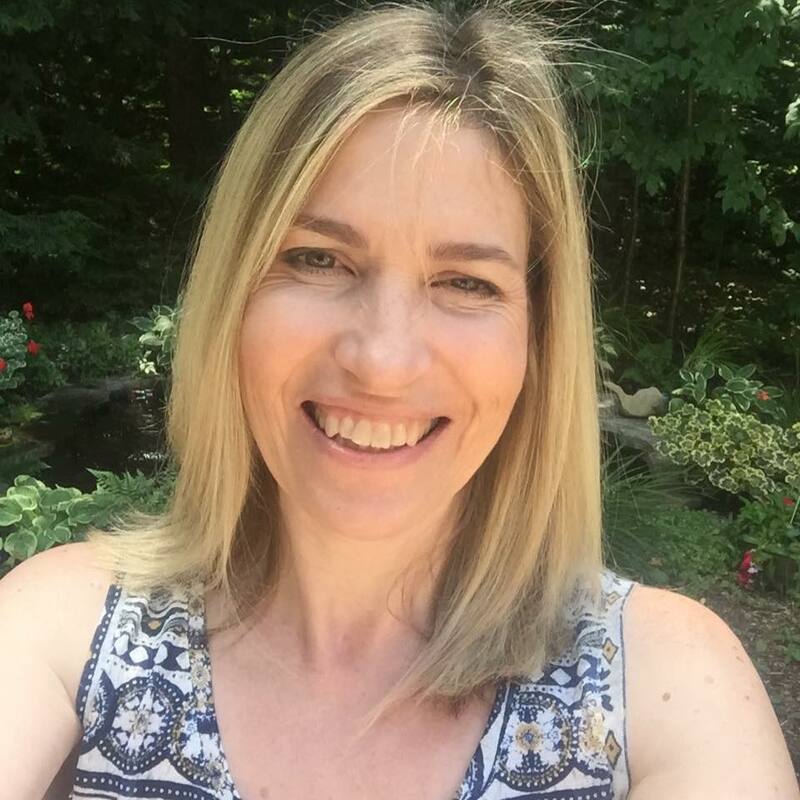 See the full post on the Birch Press Blog today HERE! These are just lovely. What a great idea for a stamp set. A forest of darling trees, Tracey! Perfect festive tags...and an amazing tutorial! Thank you! Ahh! Tracey these are so fabulous! Love, love, love! 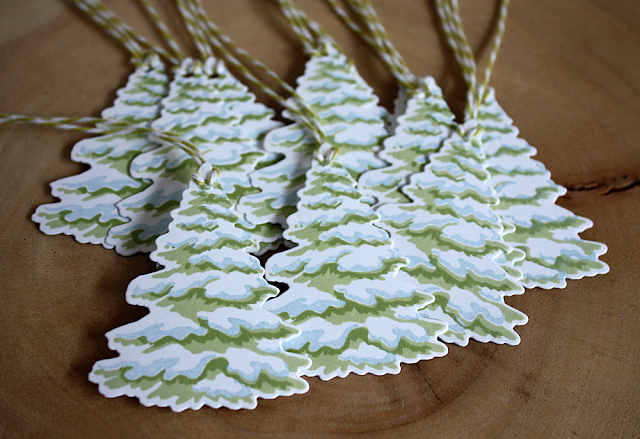 I probably never would have thought to use light blue, but it looks terrific on your cute tags! Thanks for sharing. I...love...these...!! Thanks for the tutorial Tracey. These are just beautiful!! This stamp is so beautiful! Definitely worthy of mass producing. I loved seeing your process. 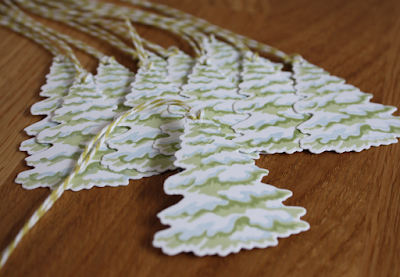 oh love these tags and look easy to mass produce. Gorgeous Tracey! I'm not a tag person, but these turned out darling. Thanks for this post, Tracey - I hadn't realized HOW detailed these images look until I saw your close-ups. 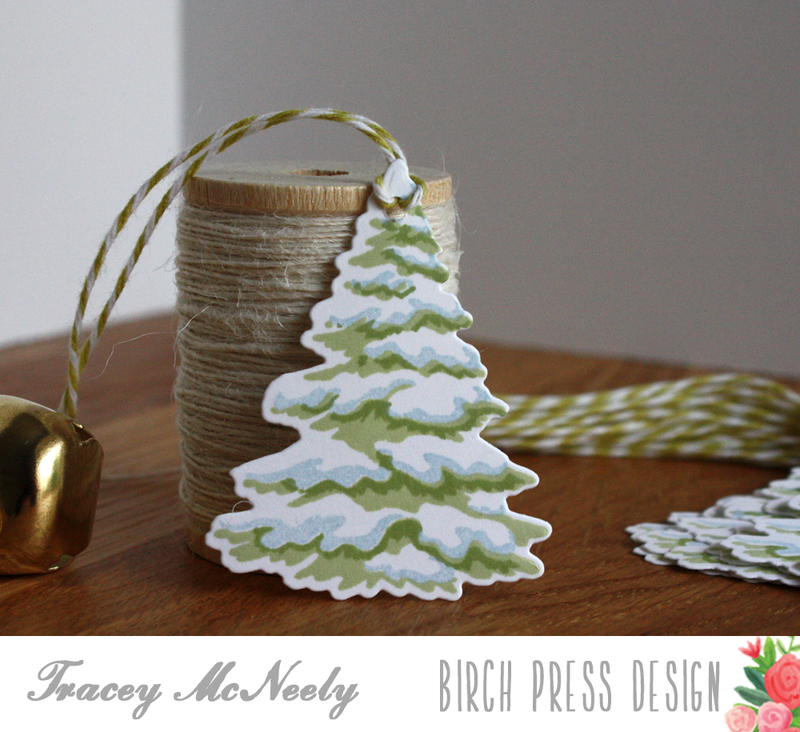 A stunning tree stamp set and it definitely makes gorgeous tags! Gorgeous tags, Tracey! 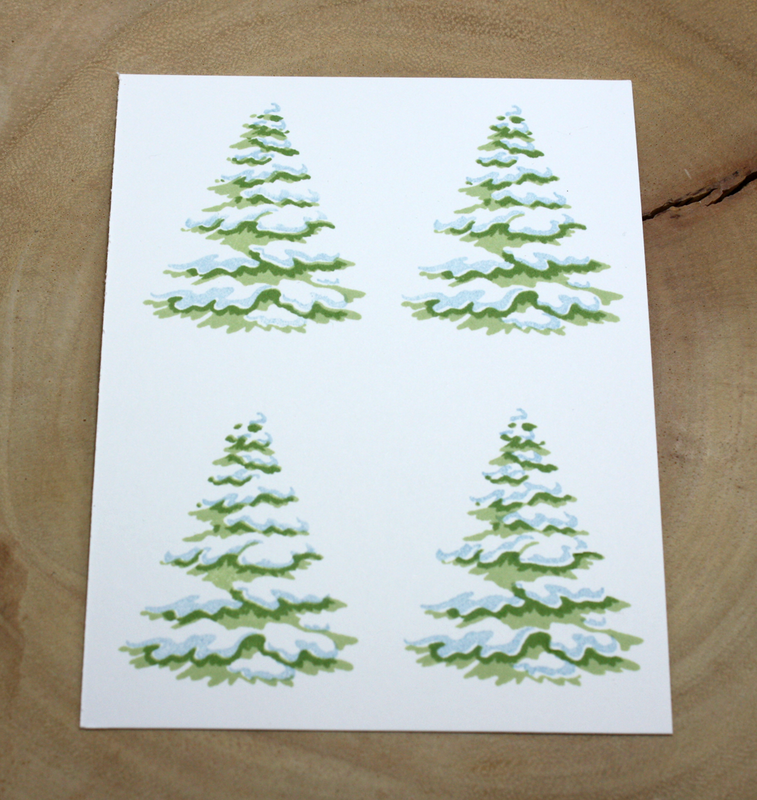 So love the soft snowy blue you shaded with! Think I 'need' this set! Oh wow what a gorgeous effect! Those are some pretty amazing stamps. Fantastic tutorial, and I really love the look of those snowy trees. I saw these on Pinterest and just had to pop over and say LOVE!! What a great idea to make tags! !